It is estimated that over 200 million people globally (about 35 million people in North America) suffer from at least one of the many forms of thyroid disease. In fact, thyroid problems are increasing so much in frequency that scientists are calling it an epidemic. The incidence of thyroid illness occurs about seven times more frequently in women than men, and it is thought that at least 50% of the cases are undiagnosed or misdiagnosed. It was recently reported that the radioactive fallout in Japan during 2011 has now caused thyroid disease in the farthest corners of the world. Children born in Alaska, California, Hawaii, Oregon, and Washing-ton within one to sixteen weeks after the nuclear accident in Japan were 28% more likely to suffer from congenital hypothyroidism than in the preceding year. There is also a dramatic increase in the rates of thyroid cancer, which is the fastest growing cancer in North America today. In 2010, the American Cancer Society reported 45,000 new cases. They now predict that in 2013 there will be about 60,220 new cases of thyroid cancer, and this number is expected to grow rapidly in the next decade. Chief among these other factors is the increased exposure we all have to different forms of radiation (nuclear accidents, greater use of CAT scans and other high radiation diagnostic tests, jet travel, etc.). Some experts like Davidson believe that the increased use of CAT scans in the past 20 years directly parallels the increasing incidence of thyroid cancers during the same period of time. The thyroid gland is a butterfly-shaped gland situated in the neck and wrapped around the windpipe located just below the Adam’s apple. It controls metabolism and virtually every aspect of health including weight, mood, energy, and circulation. Damage to the thyroid can lead to underactivity (hypothyroidism), overactivity (hyperthyroidism), thyroid inflammation (thyroiditis), and thyroid cancer. 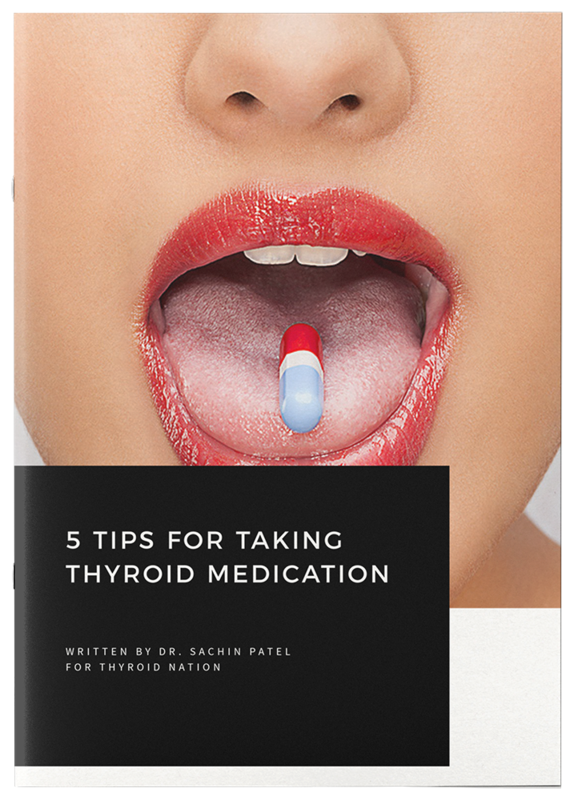 The thyroid uses iodine and the amino acid tyrosine to manufacture the thyroid hormones T3 (triiodotyrosine) and T4 (thyroxine). About 80% of the hormones made are T4 while 20% are T3. It is T3 that is the more biologically active form of thyroid hormone. In order to have adequate amounts of T3 there has to be some conversion of T4 into T3. This is something that can occur both inside and outside of the thyroid. The thyroid gland also makes a T1 and T2, which are thought to be precursors of T3 and T4 and are not thought to have any clinical significance. There is also another hormone called Reverse T3, something that causes a form of underactive thyroid disease that is frequently overlooked and undiagnosed through conventional medical testing. The thyroid is controlled by a rather complex feedback mechanism. When the hypothalamus in the brain senses there is an inadequate amount of thyroid hormones present, it releases a hormone known as TRH (thyrotropin-releasing hormone) which in turn tells the pituitary gland to release TSH which then stimulates the thyroid gland to synthesize and release more thyroid hormone (T3 and T4) into the circulation. Thus, the level of TSH goes higher in order to help the thyroid manufacture more of the hormones. The reverse occurs when there is an excess of thyroid hormone, a condition referred to as hyperthyroidism thyroid disease. Radiation exposure – Think of the radiation catastrophe that has just occurred due to the earthquake of March 2011 in Japan. The thyroid is quite vulnerable to radiation. You do not have to be a victim of any radiation disaster to get thyroid damage. CT scans, x-rays, and nuclear medical tests are more common ways people damage their thyroids. One especially unfortunate decision in the 1950s had dermatologists treat acne in teenagers with x-rays. As a direct result of this, thousands developed thyroid damage leading to various cancers. Let’s also not forget the numerous types of radiation therapies for different types of cancer that end up destroying the thyroid. Overconsumption of soy – Despite a great deal of evidence that soy products are a health benefit in terms of cancer prevention, too much consumption can tip the balance in favour of boosting estrogen function. Most soy products are genetically modified and this is most likely the reason for its harmful effects. High estrogen activity weakens the thyroid. The advice here would be to restrict soy to one serving a day and stay with organic fermented soy products only (miso, tempeh, tamari). High doses of lithium – In high doses (1200 mg daily), lithium is one of the treatments used by psychiatrists for bipolar disorder. These very high doses of lithium can cause hypothyroidism. Clever doctors of complementary and alternative medicine have used this side effect of high dose lithium to reverse an overactive thyroid (hyperthyroidism). Lithium, in low doses (10-20 mg daily), is effective as a memory booster in older adults. Ideally, its memory-boosting effects work best with omega-3 fatty acids. Amiodarone – This is a drug often prescribed for abnormal heart rhythms. Unfortunately, it can damage the thyroid. Iodine deficiency or iodine excess – Iodine deficiency is probably one of the most common nutritional deficiencies. Too much or too little iodine can damage the thyroid. The World Health Organization in 1990 estimated that 28.9% of the population was iodine deficient. Severe deficiency of iodine produces a large lump in the neck known as a goiter. It can also produce mental retardation, impaired mental function, and hypothyroidism. On the other hand, excessive iodine has been documented to result in thyroiditis, goiter, hypothyroidism, hyperthyroidism, and acne. Intakes of 1000 mg/day are probably safe for the majority of the population but with iodine, we must respect biochemical individuality to be safe. Even those who use large amounts of kelp or dulse will very rarely develop a problem with iodine side effects. There are some very sensitive individuals who will develop adverse skin and thyroid reactions to even a few milligrams of iodine. Fortunately, this is very rare. Thyroid toxic foods – The overconsumption of uncooked “goitrogenic” foods can weaken thyroid function — these include broccoli, Brussels sprouts, rutabaga, turnips, cauliflower, kohlrabi, radishes, cabbage, kale, and millet. These foods, very much like soy products, are non-toxic to the thyroid in moderate amounts. It’s only when they are consumed in large quantities that thyroid function is weakened. This, in itself, is an aspect of biochemical individuality. Gluten – Gluten can cause thyroid dysfunction because an allergy to it can trigger autoimmune responses in many people and can be responsible for Hashimoto’s thyroiditis, as well as hypothyroidism. Other thyroid toxins – Tobacco smoke, chloride, perchlorate, fluoride, pesticides, bromides, fungal (candida) infestations, toxic heavy metals like mercury and lead, and a high sugar intake have also been reported to damage the thyroid. In fact, smoking can cause a 3- to 5-fold increase in the risk of all types of thyroid disease. Root canals – Root canal teeth can leak toxins into the body which enter the thyroid gland, producing malfunction. Although controversial, there are many dentists and health care professionals who believe there is a root canal connection to thyroid disease. The classic book, Root Canal Cover-Up by Dr. George Meinig, DDS, goes into the mechanisms of how root canals damage multiple organ systems. Stress – This is a frequently overlooked cause of thyroid damage but is certainly one of the causes of suboptimal thyroid function. Pregnancy – It is estimated that between 5-10% of all pregnancies will result in thyroiditis (inflammation of the thyroid) leading to autoimmune disease or hypothyroidism. There still remains a great deal of disagreement between glandular specialists (endocrinologists) and natural health care practitioners about making the diagnosis of thyroid disease . Conventional endocrinologists are a rather dogmatic bunch when it comes to thyroid health. Most follow strict guidelines in making a diagnosis of hypothyroidism (underactive thyroid) and tend to dismiss symptoms that suggest that thyroid disease may be present when lab tests are not abnormal enough for them to treat the disorder. They are also quite adamant about the prescription of synthetic chemicals to correct the condition and are generally of the belief that natural solutions are useless or potentially dangerous. When the thyroid gland has become damaged and fails to produce adequate amounts of thyroid hormone, the TSH levels will remain high. If the TSH blood test is above 2.0 there is a strong chance that your thyroid is underactive. The normal range for the TSH is 0.4 to 2.0 but this is an area of controversy with the conventional medical forces saying that the upper limit should be 5.0. In some European countries (e.g. Belgium), the diagnosis of hypothyroidism is often made if the TSH is above 1.5, rather than 2.0. There are a large number of symptoms that could make you think that you have an underactive thyroid. You don’t have to have all these symptoms to be diagnosed as hypothyroid, but the majority will have several of these symptoms if their thyroid is not in optimal health. Combined with a high TSH, a trial therapy for hypothyroidism is warranted. Fatigue – If you feel exhausted and weak despite getting 8-10 hours of sleep you may well have an underactive thyroid. Weight gain – If you have been on a low calorie diet, exercise daily, and have eliminated all possible food allergies (especially gluten) yet you are still not losing weight, chances are high that your thyroid function needs help. There may be swelling in the eyes, face, arms, or legs. Low body temperatures – If your body temperatures on average are below 97.4F, chances are you are lacking an adequate supply of thyroid hormone. People who have hypothyroidism often feel cold in normal temperature rooms. They also do not tolerate cold temperatures (cold intolerance) as well as their normal thyroid function friends. Depression and anxiety – When there is no apparent cause for depression, anxiety, irritability, short-term memory loss, panic attacks, and insomnia, there is a strong chance that hypothyroidism could be involved. This is not to say that all mental health issues are related to low thyroid activity, but it is a commonly overlooked reason for suboptimal mental function. The common practice is to drug these symptoms with anti-depressants. 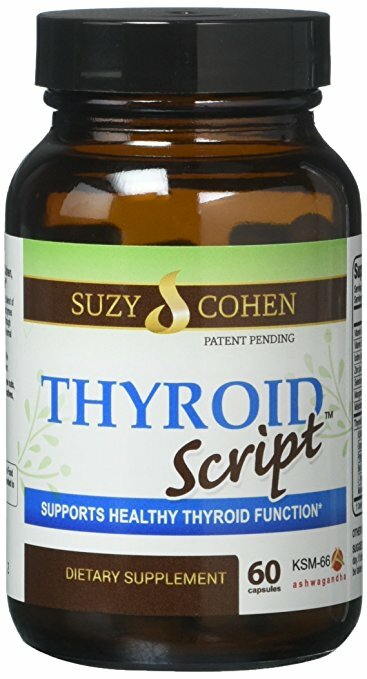 Unfortunately, this does not correct the thyroid deficiency and is not proven to be any better than placebo therapy. High cholesterol – When a high blood level of cholesterol does not respond to diet, exercise, or cholesterol-lowering supplements, hypothyroidism may well be the cause. A high cholesterol reading combined with fatigue and obesity is almost always due to an underactive thyroid. Even in the face of normal blood levels of TSH (thyroid-stimulating hormone), a trial therapy to reverse low thyroid function should be attempted. Infertility and menstrual abnormalities – Infertility is quite a common symptom of hypothyroidism. In my practice I have seen at least a dozen cases of successful pregnancies after treatment was started with natural thyroid hormone even though the thyroid blood tests were quite normal. In the majority of cases, the TSH was normal and the patient was assumed to have normal thyroid function. Quite commonly, a low libido and menstrual difficulties (pain, excessive bleeding, and cramping) are associated with a previously unsuspected case of hypothyroidism. Constipation – If you drink plenty of water and consume lots of fibre and still need to resort to laxatives to get regular bowel movements, consider a low thyroid condition as a potential cause. Hair loss – This is a common symptom of hypothyroidism and is particularly distressing to women who reach the menopausal years. Hair can become brittle, coarse and dry, breaking or falling out easily. Although hair loss is often blamed on low estrogen levels, a more common finding is hypothyroidism. Look for an unusual loss of hair in the outer edge of the eyebrows — this is a common manifestation of hypothyroidism thyroid disease. Dry skin – Fragile and thin skin that does not respond well to moisturizers or vitamin E creams is not necessarily a sign of normal aging but may be an indicator that your thyroid is not functioning well. Cold hands and feet are sometimes also connected to a low thyroid. Carpal tunnel problems – This is a painful wrist condition that is under-recognized as being associated with a low thyroid condition. Hypothyroidism could even be the unexpected cause of chronic tendonitis and joint pain virtually anywhere in the body. Muscle cramps and frequent muscle aches and pains are not always a sign of exotic problems like fibromyalgia — but could simply be due to a low thyroid. Neck swelling or discomfort – The thyroid gland will enlarge itself in a futile effort to make more thyroid hormone. As a result of this gland enlargement (a.k.a. goiter), one can have a sensation that there is swelling in the neck and develop some pain or hoarseness due to this. Family history – It is quite common to see a low thyroid condition in family members of those who suffer from hypothyroidism. Although it is not a given, there is a strong chance you will develop the condition if your mother or father was diagnosed with a low thyroid or has thyroid disease. Treating Hypothyroidism There are various levels of treatment for an underactive thyroid gland. It all depends on severity of symptoms, the blood levels of TSH, T3, T4, reverse T3, and thyroid antibodies. Body temperatures are also a crucial factor in the treatment protocol. Sorting all this out is a fairly complex issue and is best addressed with the help of a natural health care professional. L-Tyrosine – 1000-3000 mg daily. The body will use this amino acid to manufacture more thyroid hormone. Often, this amino acid is used as a treatment for fatigue or mild depression. Zinc citrate or picolinate – 50 mg daily. Zinc and copper are both needed in the control of thyroid hormone production. Selenium – 200 mcg daily is required to help convert T4 (inactive) to T3 (active) thyroid hormone. Selenium is also important to prevent the formation of abnormal antibodies that can attack the thyroid leading to disease. Vitamin D – 10,000 IU daily. Vitamin D deficiency has been linked to both hypothyroidism and hyperthyroidism. Blood levels of 25-hydroxy vitamin D should be evaluated prior to supplementation. Iodine as potassium iodide – 1-10 mg daily. Iodine is part of active thyroid hormone. The use of iodine is often criticized by endocrinologists as potentially dangerous. Studies, however, have indicated that most people can easily tolerate doses as high as 1000 mg a day without any harm. Other Thyroid Disorders Although not as common as hypothyroidism, these conditions are often misdiagnosed and treated as if the issue were really one of anxiety, stress, or some other mental illness requiring tranquilizers or anti-depressants as opposed to a real physical illness. – Goiter (enlargement of the thyroid gland); a goiter may also be associated with iodine deficiency and a low thyroid condition. Lab tests can help to sort this out. – Rapid heart rate (tachycardia) and palpitations. – Warm, fine, moist skin; nail problems; thinning hair. – Heart beat irregularities and high blood pressure. – Nervousness, tremors, and hyperactivity. – Increased perspiration; heat intolerance. – Weight loss often similar to that occurring in systemic cancer – Diarrhea and increased appetite. – Insomnia; fatigue; weakness. – Increased bowel movements. – Exophthalmos (protruding eyeballs); blurred and double vision. – Myopathy (muscle pain and weakness). Natural treatments can often reduce or eliminate the need for drugs and surgery. This is especially true if thyroid disease is in its early stages. The mineral lithium can suppress thyroid function almost as well as prescription anti-thyroid drugs with fewer side effects. Like calcium or zinc, lithium is a mineral. It is most often associated with treatment of bipolar disease (manic depressive disease) but in these cases the dosages used are very high (1200 mg daily) and there are side effects that can adversely affect the kidneys. In hyperthyroidism, the lithium dosages used are in the neighborhood of 10-100 mg daily. One of the side effects of high dose lithium therapy, usually prescribed for bipolar illness, is hypothyroidism. The doses used for suppression of the thyroid gland are much less than those used in bipolar disorder and far less toxic. Toxicity of lithium can be curtailed by the use of omega-3 fatty acids, such as the ones found in fish and seafood. If you want to avoid eating fish because of their high mercury content, you can supplement with about 4000 mg of omega-3 oil capsules. High doses of essential fatty acids (evening primrose oil, fish oils, and flax seed oil) and mega doses of vitamin E (3000 IU or more daily) are also usually effective at cooling off an overactive thyroid gland. Many foods help suppress thyroid function naturally and may be wise to increase in the diet of anyone suffering from a hyperthyroid state. These include broccoli, Brussels sprouts, cabbage, cauliflower, kale, mustard greens, peaches, pears, rutabagas, soybeans, spinach, and turnips. Hashimoto’s disease can be quite confusing for many people to comprehend. It is a type of autoimmune inflammatory disease of the thyroid gland in which the immune system makes antibodies that attack proteins in the thyroid gland causing gradual destruction of the thyroid gland itself, leading to eventual hypothyroidism (underactive thyroid).Hashimoto’s belongs to the same category of diseases as celiac disease, lupus, rheumatoid arthritis, myasthenia gravis, scleroderma, and ulcerative colitis. In Hashimoto’s thyroid disease there could be a goiter and high levels of antibodies against thyroglobulin (TG) and thyroid peroxidase (TPO). A fine-needle biopsy of the gland will show large numbers of white blood cells (lymphocytes and macro-phages) and an ultrasound usually shows an enlarged thyroid gland. People with Hashimoto’s have variable symptoms. Some do not complain of any problems but many will feel a neck enlargement with discomfort or pain. In severe cases, swallowing or breathing can become difficult, and occasionally require surgery. Thyroid hormone production may periodically become excessive, producing some of the symptoms of an overactive thyroid. Hormone levels may cycle between very high and very low levels, eventually settling into hypothyroidism. Common symptoms include anxiety, insomnia, fatigue, depression, hair loss, weight changes, muscle and joint aches and pains, as well as fertility problems. In the case of a symptomatic goiter, most doctors will prescribe thyroid hormone (usually L-thyroxine). Conventional medical doctors and endocrinologists, however, will not treat Hashimoto’s unless there is a goiter or the TSH is outside normal limits. Complementary and alternative practitioners will often treat the condition, depending on the symptoms, with low dose desiccated thyroid (natural thyroid hormone replacement therapy). PABA (para amino benzoic acid), one of the B complex vitamins, in doses between 3000 and 5000 mg daily, can also be of help in weakening the impact of autoimmune diseases. The herb curcumin, an extract of tumeric, has potent anti-inflammatory effects in just about all autoimmune disorders. The same can be said for the mineral selenium in slowing any autoimmune reaction. Studies have also shown that low dose DHEA (10-100 mg/day), progesterone, pregnenolone and/or testosterone (5-100 mg/day) can be of some help. Vitamin D deficiency is commonly associated with autoimmune disease. Together with omega-3 supplementation, most autoimmune disorders can be improved or reversed. Low stomach acidity is a common finding in autoimmune diseases, as is pancreatic enzyme insufficiency. Lab tests can help your doctor or naturopath determine whether or not supplementation of the diet with betaine and pepsin, glutamic acid, and/or pancreatin is necessary. Plant-based proteolytic intestinal enzymes are another option which might not only help digestion but also reverse the inflammatory process. Some doctors have found that delayed food allergies may be responsible for autoimmune disease. The commonest of these are dairy products, wheat, gluten, chocolate, and stimulants like coffee, tea, cigarette smoke, nicotine gums or patches, and caffeinated soft drinks. Mercury hypersensitivity due to dental amalgams should also be suspected in any autoimmune disease. Aside from food and chemical allergies, victims of Hashimoto’s may be suffering from extreme stress, a variety of other hormonal imbalances (pituitary, adrenal, gonadal, etc. ), bowel infections (especially candida, parasites, and fungi), and other digestive problems, especially leaky gut syndrome. These may all need to be addressed for a complete recovery to take place. If possible, consult a naturopath or holistic doctor in your area for a nutritional assessment and a personalized supplement program if you suspect thyroid disease. 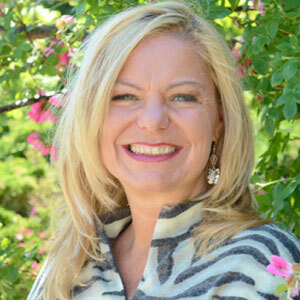 Dr. Zoltan P. Rona M.D., M.Sc practices Complementary and Integrative Medicine and is an expert in nutritional biochemistry and clinical nutrition. He specialize in preventive medicine and natural therapies which are complementary (not an alternative to) your family medical doctor. Dr. Zoltan P. Rona is a graduate of McGill University Medical School (1977) and has a Masters Degree in Biochemistry and Clinical Nutrition from the University of Bridgeport in Connecticut (1984). He is past president of The Canadian Holistic Medical Association (1987-88). Find him at www.mydoctor.ca/drzoltanrona or on HighLevelWellness.com. 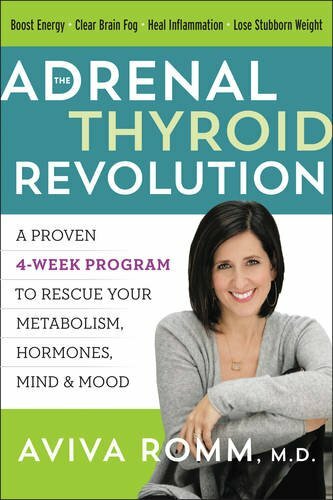 Questions or anything to ask Dr. Rona about Thyroid Disease? We want your thoughts in the comments section–Please! We lived in Holland when Chernobyl imploded in 1986, we had the radioactive cloud coming over the area where we lived and there were restrictions on what and how much we could eat and drink for some time. The cows had to be inside etc. Could this be related to me having Hashimoto? ABSOLUTELY it could Maria! OMGoodness. I’d love for you to email me at info@thyroidnation.com. I have a few other articles, too!